FULTON, NY – Virginia Reis, 70, of Fulton, passed away Friday April 7, 2017, at Oswego Hospital, Oswego. She was born in Auburn, NY, to the late Harvey and Mary (Brillo) Webster. Mrs. Reis has been a resident of Hannibal and Sterling, NY, for most of her life until she moved three years ago to be closer to her daughter in Granby, NY. Mrs. Reis worked for Wayne’s Pharmacy, Fulton, for several years as a cashier. She loved to catalog shop and to be near the water. Mrs. Reis especially enjoyed being by the ocean or spending time at camp. She was known to have a wonderful sense of humor. Mrs. Reis absolutely loved spending time with her grandbabies. She was predeceased by her husband, Keith Reis; her brothers and sister, Diane, Roger and Donny Webster. She is survived by her two daughters, Melissa (Harold Smith) Parkhurst of Fulton, NY, and Shelly (Scott) Crawford of Sterling, NY; siblings: Sandy (Jack) Hirsh of Fair Haven, NY, Harvey (Freida) Webster of Florida, Larry (Carolann) Webster of Fair Haven, NY, and Peggy (Dave) Park of North Dakota; six grandchildren: Nicholas, Dakota and Hannah Muckey and Ashlie, Ryan, and Taylor Crawford; three great-granddaughters: Sophia, Leah and Natalia; and several nieces and nephews. Funeral services will be held 6 p.m. Thursday in the Sugar Funeral Home, Inc. 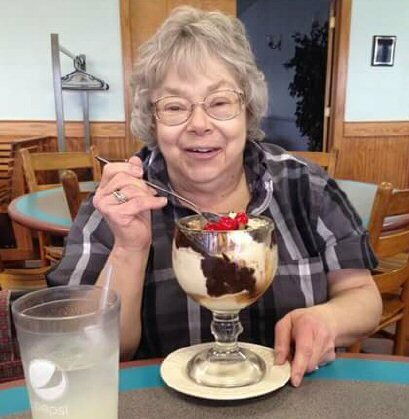 Calling hours will be conducted 4 to 6 p.m. Thursday at the Sugar Funeral Home, Inc., 224 W. Second St. S., Fulton. Melissa I am sorry for your loss. What a testimony to your mom this is, Melissa! She shines through each word. You continue to be in my thoughts and prayers. Feel my hugs, but more so, feel the comforting arms of Jesus around YOU. Lean on Him and know that He will never leave you. He’s been my stronghold (especially when my mom passed). Love you! Sorry for your loss, your Mom was a beautiful person. She always had a smile, that made everyone around her feel good. Our deepest sympathy to all her family. So sorry for the loss of this beautiful soul! Hugs and prayers to the Reis family! May God watch over you in this troubled time!